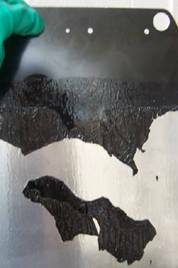 Powder Coat Stripper to Remove Powder Coating from Aluminum: Paint Strippers to Remove Powder Coating from Aluminum: Powder Coating Removal Solutions leave Aluminum in Original Condition. #1 Powder Coating Stripper for Powder Coating Removal from Aluminum. Non-HAP (No Hazardous Air Pollutants), Environmentally Friendly & Economical. Removes most coatings including Powder Coating by dissolving the cured paint film from substrate allowing easy, low pressure rinsing. 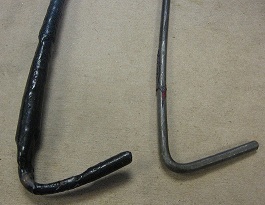 Strip Paint and strip Powder Coating at Room Temperature-Overnight or heat to 165F. for faster stripping in less than an hour. Recycle and Reclaim Paint Rework and Powder Coating rework to reach zero defects coating quality, in order to give your company a maximum advantage in today’s competitive economy. 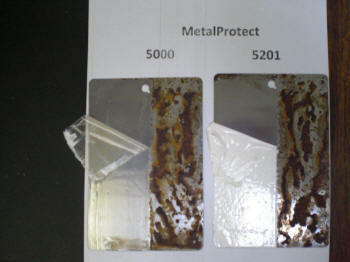 Complete line of Paint Stripping Solutions to Remove E-Coat, Powder Coating, Cured/Wet-Applied Coatings. Aluminum Paint Strippers, Paint Removers, Powder Paint Removal Products, Paint Stripping Service/Coating Removal Service. Return to "PowderCoatingStripper.com | Eco-friendly Stripper to Remove Powder Coating | Eco-friendly Powder Coat Remover"